Make artful seed bombs! These are used to add beauty and provide food in urban or semi urban environments! 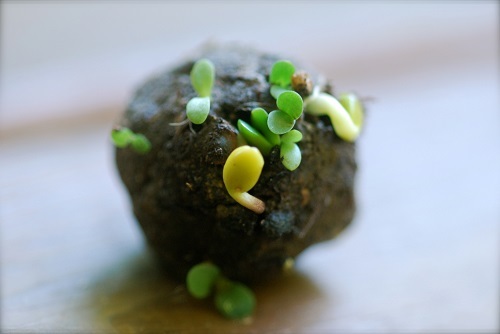 Here, you'll make lettuce and wildflower seed bombs.